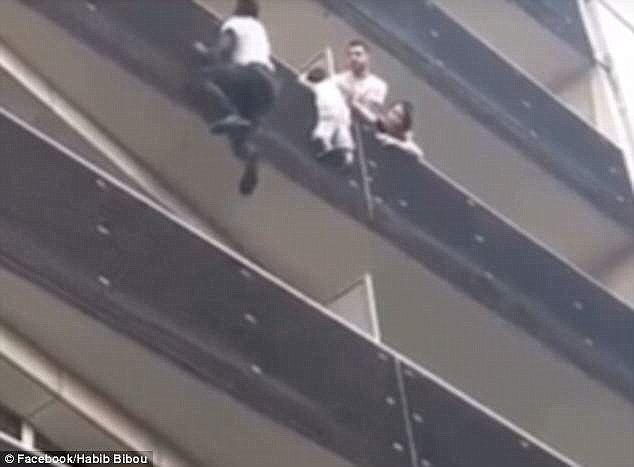 A Malian immigrant dubbed ‘Spiderman’ for scaling four storeys to save a child dangling from a balcony in Paris has told how he has become a celebrity in France as he begins a new life as a firefighter. 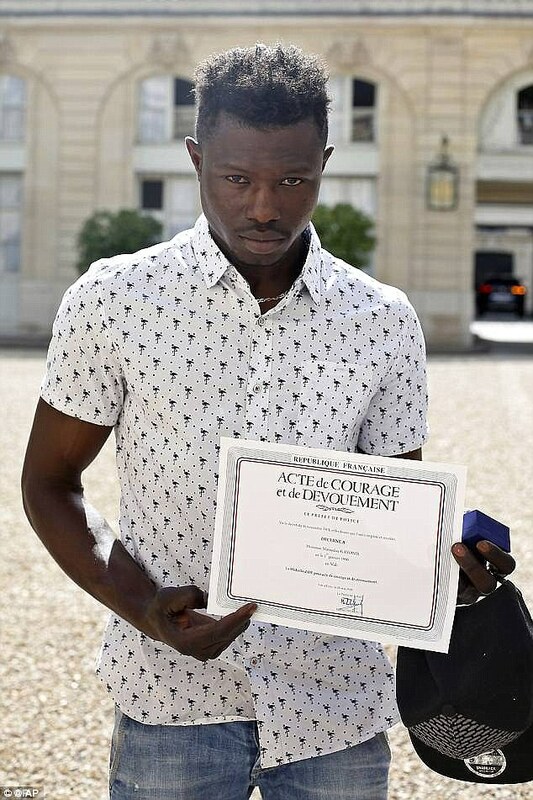 Mamoudou Gassama was made an overnight star and met President Macron at the Elysee Palace for single-handedly hauling the four-year-old to safety after scaling the facade of an apartment block in the capital’s 18th arrondissement. 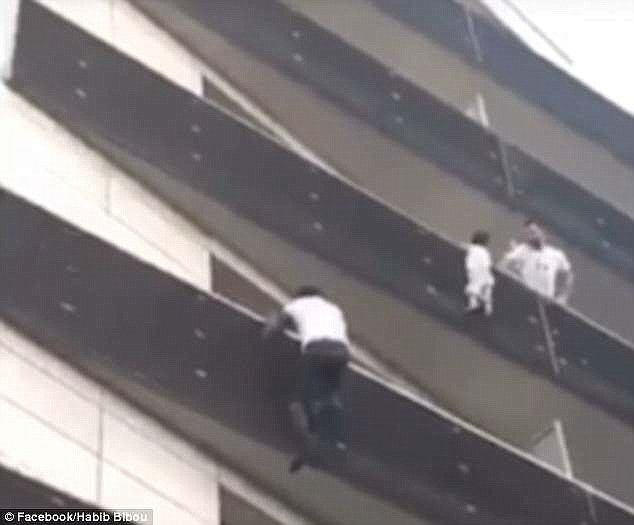 A few months on from that incredible feat where he risked his life to save the boy, Mamoudou has told how his life has been completely transformed – as armed officers are among the fans who regularly queue up for a picture with one of the most famous and popular men in Paris. Speaking from his home in the Paris suburb of Montreuil where MailOnline tracked him down, the 22-year-old hero admitted: ‘My life has changed enormously, and it’s getting better every day. 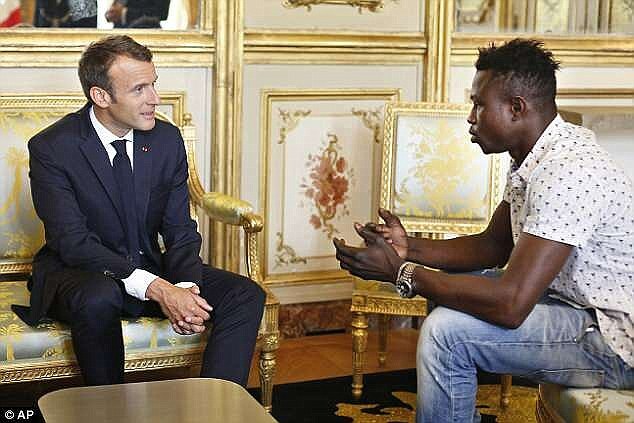 ‘Soon after the rescue, I was a guest of President Emmanuel Macron who gave me a medal and French citizenship. ‘I’ve since been honoured by everybody from Brazil international footballers like Marcelo to the American music industry, and have my own flat. As he talked in the main square in Montreuil on a baking hot August day, fans appeared every few seconds. They ranged from mothers with tiny babies to policemen, and also included worshippers from a local mosque, and boys who had been playing football. Ever the gentleman, Mamoudou had time for everybody, posing for selfies as he laughed and joked. Such scenes contrasted with Mamoudou’s descriptions of his perilous journey from Yaguine, the town in the Kayes region of south-west Mali where he was born and brought up. The rural area is racked by poverty, prompting those living in the former French colony to try and find work abroad. War in the north of the country involving France’s armed forces and groups such as Al-Qaeda and Tuareg rebels have made the situation even more unstable for young men such as Mamoudou. He first left Mali when he was 16, spending three years in Ivory Coast, selling tomatoes and peppers around its capital city, Abidjan, in between work on building sites. When he reached his 20s, he decided to travel the 3,600 miles from Yaguine to Paris, where family members including three brothers were already based. Coach journeys through Burkina Faso, Niger and Libya followed, and then Mamoudou endured a horrific sea journey to Italy. ‘Libya was the worst,’ said Mamoudou. ‘The country was in chaos following the war in which Colonel Gaddafi was killed. Previous articleThe Next Church Reformation or Revolution Has Already Started, But Did the Man Who Started a ‘Riot’ at Pastor Wayne T. Jackson’s Church in Detroit Pull a Martin Luther and Symbolically Nail ’95 Theses’ to the Prosperity Gospel Church Door?